The concept of lucid dream is not a new one. Many people experience such dreams multiple times in their life. However despite the popularity of this concept, most of the people are not aware about the actual process. 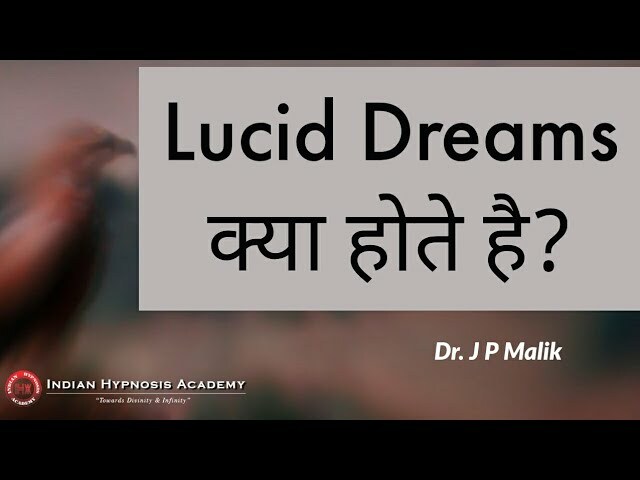 Today we will understand about the lucid dreams and how they affect us. Lucid dreams are those dreams in which we know that we are dreaming. It means that during the dream state we are aware about the fact that the current imagination is not real but only our dream. In this our consciousness or awareness increases. When we know that the dream is meant to be viewed as a live TV, we do not get affected by that aftereffects of it. Since dreams are interpreted by different cultures differently. We can not comment about the meaning or purpose of any particular dream. Many therapists use this technique to help people understand their dreams better. People have sometimes trouble in understanding their dreams. It may be repetitive or new, but the effect remains the same which is non understandable. You can book your appointment with Indian Hypnosis Academy to have better analysis of your dreams. Click here to know more.